I will have a more detailed account of this race in my next post. I just want to extend my thanks to all the runners—veterans and the newly-baptized ultramarathoners, for their participation to this road race and their support to the objectives of the Philippine Association of Ultrarunners (PAU). This race, to include all the races being organized and directed by the Bald Runner’s Events, would not be possible without the untiring efforts of the men and women behind the scene who implemented our plans and for making sure that the support/logistics were available to all the participants. 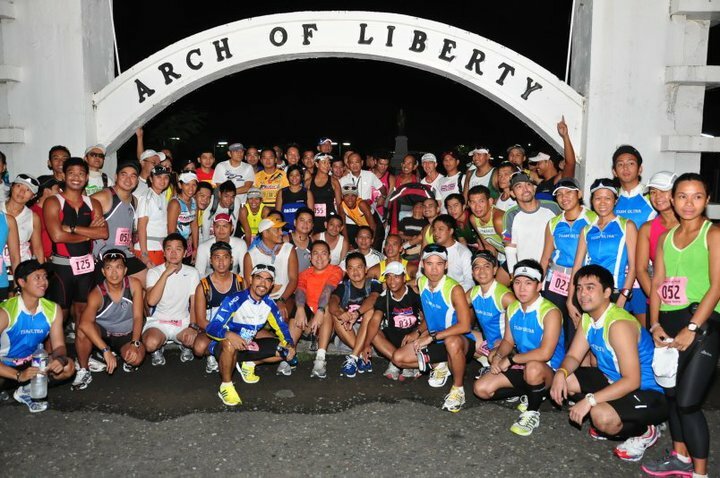 A total of 125 runners started at the Plaza fronting the Municipal Hall of Pasuquin, Ilocos Norte few minutes before 5:00 AM last Sunday. After 15 hours, 122 runners reached the Finish Line and they were declared as Finishers! Gathering from the feedback of the finishers, there are two distinct descriptions of PAU Races—Surprises and Scenery of the Route! The runners were surprised of the exact distance of the race. Instead of registering 65K in their GPS watches, the actual route was measured as 70K! Runners were also surprised on the type of road to run and in summary, the runners were able to experience running on paved roads, trails, rocks with water, and climbing some rocks and stairs, too! The scenery of the route is beyond compare and it was refreshing to the eyes which was totally new to the “first-timers” in Ilocos! 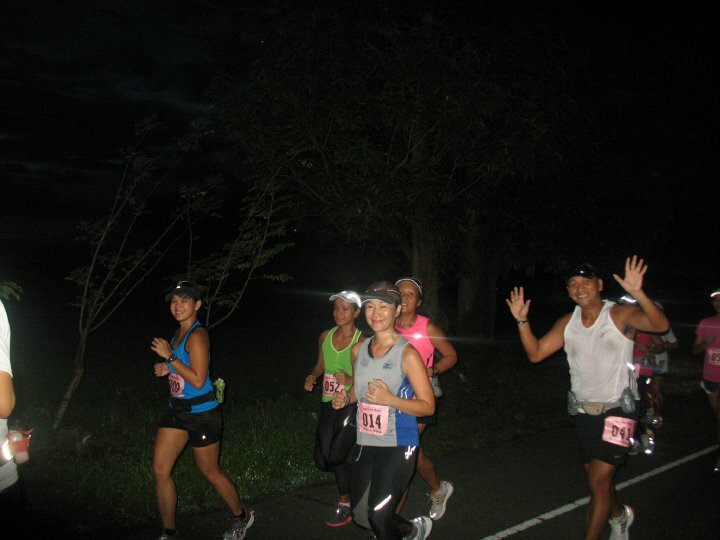 The weather also surprised the runners as the sun started to appear on mid-morning even if the weather forecast was cloudy & overcast brought about by the passing of Typhoon “Florita”. Lastly, the presence of the local folks living in those barangays along the highway who watched and cheered the runners as they passed gave another surprise to everybody. We have proven to ourselves and to all our runners (once again!) that support (donations) coming from our running friends and the participants themselves made this event a success and worth repeating every year. With the help of these friends and the ultrarunners, we will try our best to bring our runners to other places with different challenges…and more “suffering & pain”! Thanks also to the local government executives of Pasuquin, Burgos, Bangui, Pagudpud and Ilocos Norte for their warm welcome and cooperation for this event. I am sure more of our runners and readers of this site will be aware of the beauty of the roads, tourist spots, the sea, the rocks, the beach, and the hospitality of the people of Ilocos Norte. For the 2011 edition of this race, we will add the Blue Lagoon & Patapat Viaduct as parts of the route! 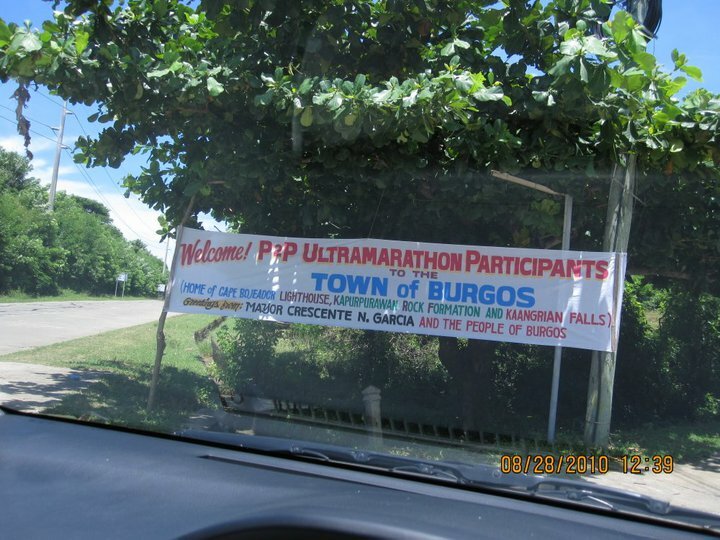 See you on the 3rd PAU Run dubbed as the “Mt Pinatubo 50K Trail Challenge” on October 9, 2011. I thought so, the race pack numbers did not add up. Agyaman kami un-unay kadakayo apo for introducing our beloved Ilocos Norte to the running community. and dun sa mga Hindi na makapag antay sa kanilang Pics.